The pact between the Elves of the Alandar Mountains and the Majestic Dragons is older than many civilisations of the world. These noble creatures do not suffer themselves to serve lightly, and the relationship between the Dragon Kindred and their steeds is one of mutual respect. 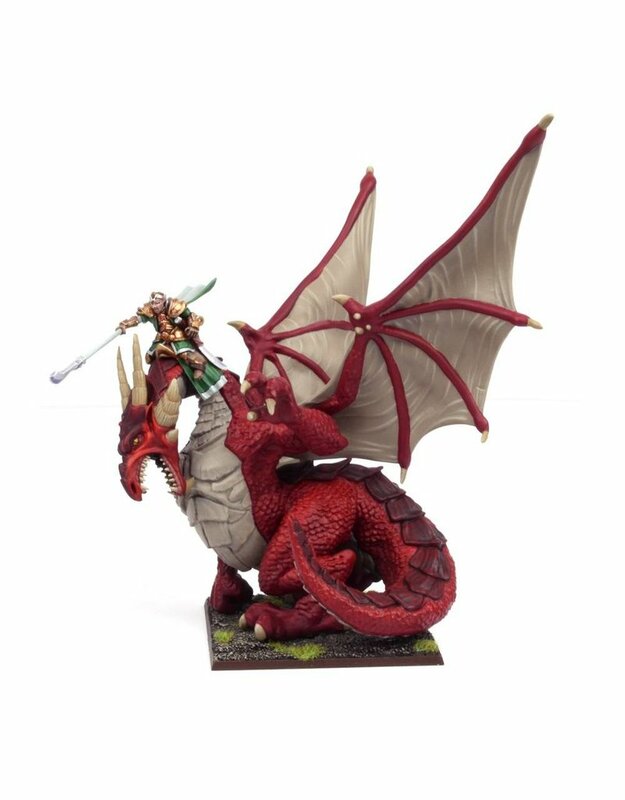 Rising on mighty pinions and able to breathe gouts of deadly fire at their foe, Dragons are rightly feared by all sentient creatures, and an Elf Lord riding one is as terrifying to his enemies as he is inspirational to his allies.